If you’re regretting your ambitious offer to host Thanksgiving dinner in your shoebox apartment, fret not. 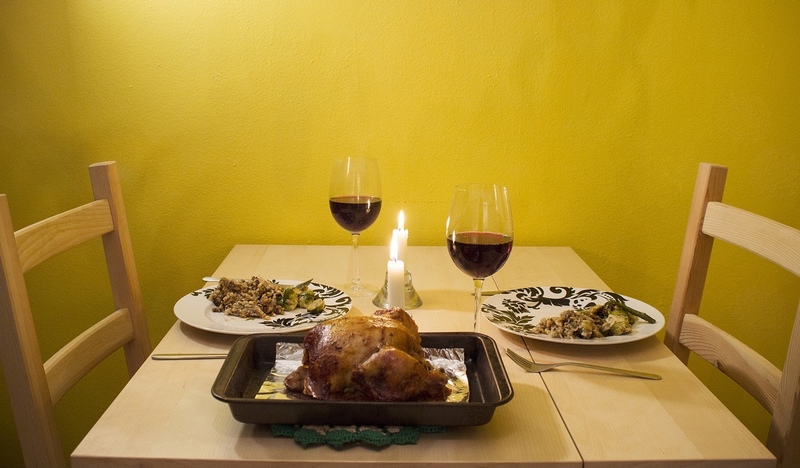 We’ve got some tips to help you pull off a low-stress, high-class Thanksgiving dinner, no matter how small your NYC apartment is. Clean and clear clutter: It’s so much easier to figure out exactly how much space you’re working with when you have a clean slate. Wipe down all surfaces in the kitchen and elsewhere. Vacuum the floors — if you’re short on space, chances are your guests will be sitting on the floor, so don’t make them sit among your dust bunnies. Throw out all old mail, newspapers and paper clutter lying around. Get rid of any old and expired items in your refrigerator. You’ll need that extra space to store the fixings for the upcoming feast. Figure out your seating options: Now that your apartment is spick and span, assess your furniture. Pillows, floor cushions and step stools can all be used as additional seating when you’re short on space. No dining table? No problem. You can easily convert a coffee or side table into a dining area. You can put a fancy sheet, tablecloth or blanket over it to dress it up. Then set it like you would a regular table, and add some flowers or your favorite gourds as a centerpiece. Designate a spot for coats and shoes: The last thing you want are jackets and shoes all over the place to trip over. Set up a space out of the main traffic area for boots and coats. If you’re short on closet space, consider investing in a cheap coat rack. Bed, Bath & Beyond sells them for about $30. NYC kitchens are notoriously tiny, but preparing Thanksgiving dinner in one is 100 percent doable. I once made Thanksgiving dinner for four using only two working burners and a toaster oven. Timing is everything: First, determine your cooking temperatures and times. Then, outline an order of operations. As a rule of thumb, it’s best to go backwards, starting with the dishes that take the longest to cook first and saving the fastest items for last. Not everything has to be baked: The turkey will require the most baking time, and if you have a narrow oven, chances are you will not be able to bake anything else with it. If you’re short on oven space, rely on your stovetop as much as possible, making mashed potatoes instead of roasted ones, and sautéing green beans and other veggies. Candied yams and cranberry sauce can all be made on the stovetop, too. Make dishes ahead of time where possible: Cooking the turkey is going to hog the bulk of your oven real estate, so you’ll want to bake your other items in advance. Casseroles, cakes, pies and cornbread for stuffing can all be prepared and stored the day before. Making things ahead can also save you precious counter space. If you still need more, put a large cutting board over your sink when you’re not using it. It will work as extra shelf space as you rotate between dishes. 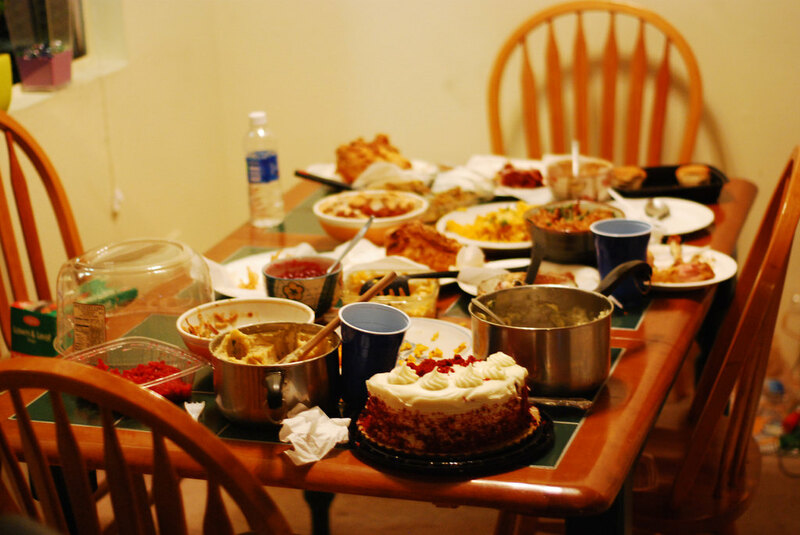 Consider having a potluck or catering: If any of your guests can cook, have them bring one of their favorite holiday dishes or assign them to bring what you need. Got a friend that can barely boil water? Have them bring wine, napkins or extra utensils instead. While catering a full Thanksgiving dinner can be quite expensive, you can save time and even money by limiting your order to specific items. For example, you can order a prepared 10-pound turkey from Whole Foods for $60. If you prefer to go local, you can order one for a reasonable price from Green Grape Provisions in Fort Greene. Fresh Direct, Union Market and many local grocery stores and specialty food shops also offer prepared turkeys. Who says you even have to make a turkey? For many New Yorkers living in small apartments, cooking a whole turkey is simply out of the question. There’s hope if you own a toaster oven, though. 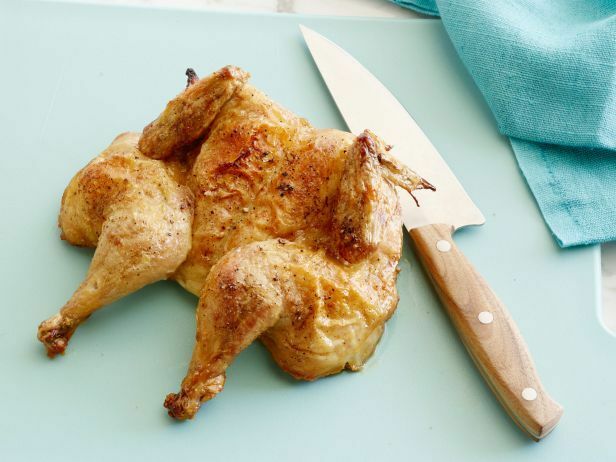 Check out the recipes below for tasty traditional turkey alternatives. The stuffed squash, Cornish hens and rolled turkey breast recipes are personal favorites and ideal for toaster-oven baking.